Streaming on Kodi may sometimes bring about buffering issues that are incredibly irritating and infuriating. If you are to solve this issue, you must clear the cache of the application. 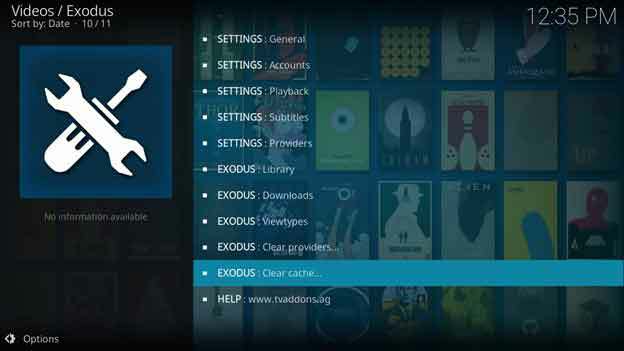 This may leave you wondering: “how to clear cache on Kodi”. The answer is quite simple though and does not require any rocket science. 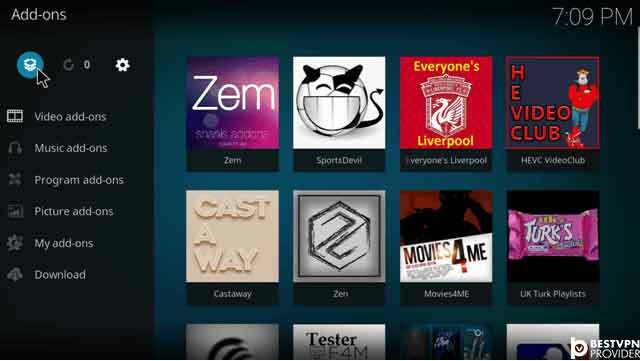 Similar to installing add-ons for entertainment, rejuvenating Kodi requires you to depend on an extension. 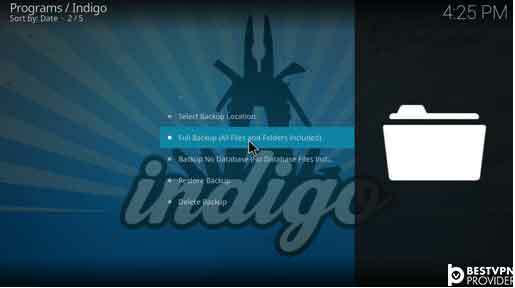 So, we present to you, Indigo for Kodi. This brilliant maintenance extension ensures that the media center never slows down again. Not only does it give you the ability to clear cache, but it can also revert everything back to its initial settings. No matter if you are connected to best vpn. This means, you can setup Kodi again with better running add-ons for entertainment, while ensuring things run smooth as ever. Follow the guide below for instructions on how to install Indigo and the steps to clear cache for seamless streaming of HD videos. Kodi has come under severe scrutiny. Authorities are hot on their tails to hunt down Kodi users. Check out our best VPN for Kodi to find out how to stay anonymous. Learn how to unblock best Kodi addons and secure your privacy from copyright holders. You have successfully setup Indigo on Kodi Krypton, next let’s go through each feature and get your Kodi Krypton media center tuned up. This is probably the only option you will use in Indigo since it makes all necessary changes to optimize your Kodi Krypton media center. All you have to do is “Install”the recommended tweaks when alerted and let Indigo take care of itself. The built-in add-on installer in Indigo is something you will totally fall in love with. 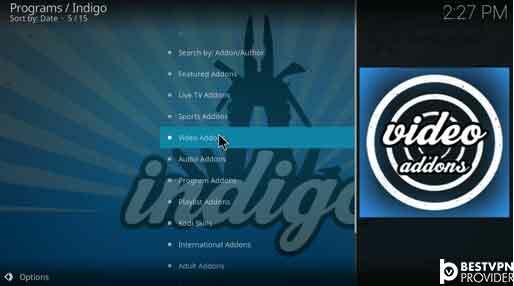 The Add-On installer feature allows you to browse through hundreds of video, audio, program, live TV and sports add-ons, plus install them directly from within Indigo. 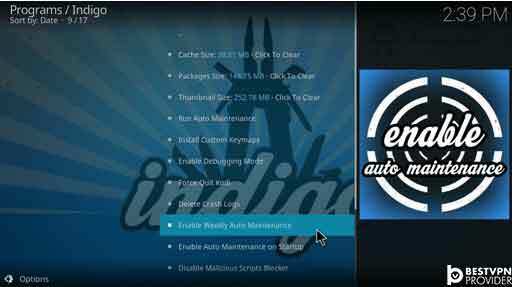 Add-on installer automatically install your favorite add-ons without having to go through setting up repositories and browsing through long menus. A selection of tools designed for the tech savvy Kodi user, Maintenance Tools are a great collection of tweaks to improve your Kodi Krypton’s routine performance. 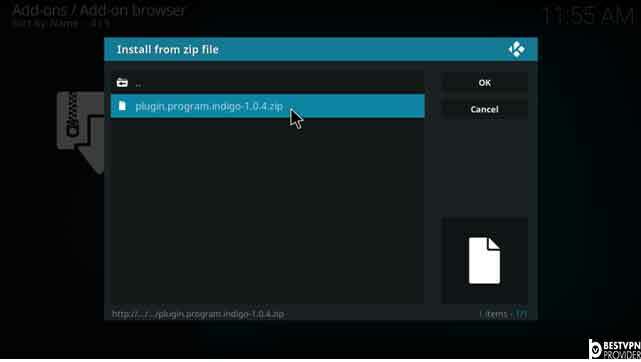 This Indigo section provides information on cache, packages, thumbnails downloaded by Kodi while you use your various add-ons. I’m sure advanced Kodi users will love indigo features and its ease of navigation. 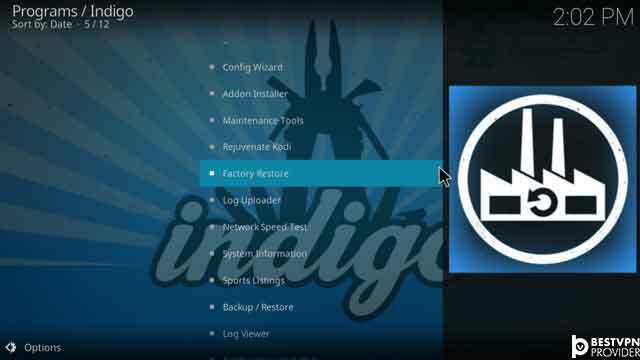 As the name suggests Indigo’s rejuvenate option completely clears all XBMC configurations and reconfigures your Kodi Krypton with the latest Config Wizard. The process is automated and only requires your permission twice. I wouldn’t recommend this unless you know your way around Kodi. The factory restore option as its name suggests resets your existing Kodi configuration & any tweaks you have made to the official factory configuration. The Log Uploader feature is available in the Indigo add-on,but, as far as I can remember the repository that serves this feature has now been discontinued. I am still not sure how the logs uploader feature works since there is no surety it’s active. Another great feature from Indigo, the network speed test allows you to test your internet connection based on three varying tests. You can test either small, medium or large file size to determine how fast your network is performing in conjunction with Kodi. This is a great option for those who stream a lot of live TV and sports on Kodi. Once again, as the name suggests this feature provides information on you Kodi, your device and your internet connection. The sports listing section is basically a viewer’s guide to get the latest times and streaming channels for sports events including football, cricket, horse racing, tennis, baseball, netball and others. In case you ever need to factory restore or delete your Kodi media center, a backup option is also available to save all your existing settings, files and folders to restore later. 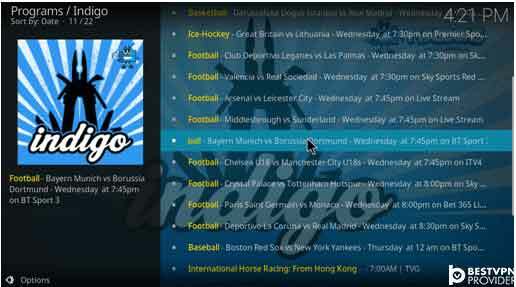 A built in log viewer is also available for you to check all events and add-on notifications for troubleshooting later. I found the interface better than I have seen in other log viewer plug-ins. If you want to clear cache on Kodi Firestick, you will have to follow the same steps mentioned above. Since the Amazon TV box has limited storage, it is a good idea to have routine clearing of the cache. 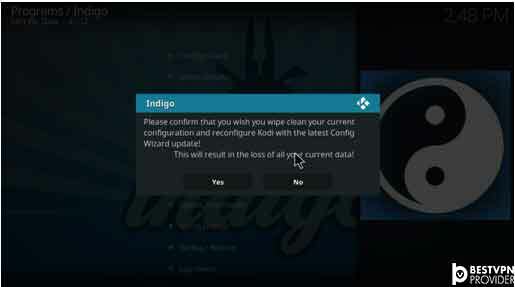 Simply install the Indigo add-on, click on the “Maintenance Tools”, select the “Clear Cache” option, and revert Kodi back to normal. Similar to websites, even an application leaves some sort of cache for functioning smoothly. Kodi cache can refer to any data that the media center locally saves on the platform for faster access to content. Below are the five different types you must know about. The video cache is the most common and talked about when it comes to Kodi. It functions by saving a few seconds of video content to get rid of small bumps/slowdowns while streaming your favorite movies/TV shows, news, live sports, and music. The cache is stored on RAM (60MB allocated to be exact). If it exceeds the set values, Kodi automatically clears the cache. Each time you download a Kodi extension, they will automatically save files to make their own “cache”. Some may even bypass the normal video cache in replace of special ones that grant pre-downloading of files to play them back offline instantly. Though Kodi does clear cache automatically, you must be aware the device does not run out of space and crash. When you install Kodi on Android devices, the media center will automatically synchronize to your app collection. Upon switching between apps from within Kodi, it is normal for software to leave cache. However, it is possible that sometimes these cache data are corrupted. As a result, they may result in crashes if not cleared out. This need no explanation, but we will still provide you with knowledge. 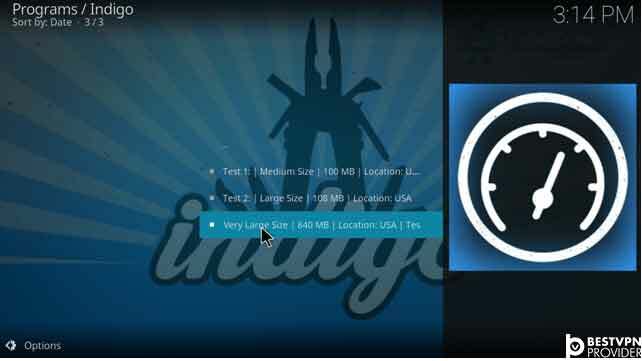 Kodi will cache various images from within the application to ensure a faster interface. This include thumbnails and cover arts for different extensions along with other pictures that appear in the video library. Mostly, these cached images save on Kodi, but you can shift them to a network or external drive. Just like web browsers often save temporary files from different websites and pages, Kodi might save a variety of files. This may include previous versions of some add-ons, subtitles related files, and extracted videos from a zip or .rar archive. 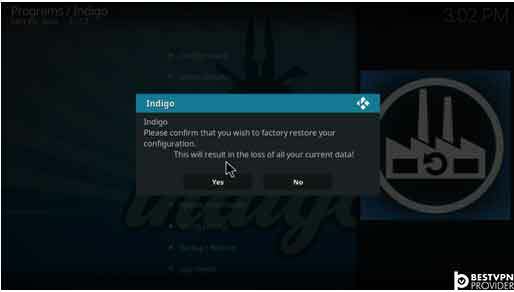 I hope you will find Indigo a very effective maintenance tool for your Kodi media center. If you found this article helpful share with friends using the social buttons and leave a comment to let us know if there is something I missed. See you again soon with more guides, tweaks and amazing add-on reviews for Kodi. 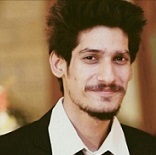 Hi I am new to all about Kodi. My friend set it up for me and its been working smoothly since. However, recently the app has been lagging a lot and Ive been told to clear the cache. This guide is helpful. I just wanted to ask what happens if I press the “Rejuvenate Kodi” button. Does it clear all add-ons? !